It comes in 2 forms. 1. Word Document - click this link if you want to view the file in Word. You can then save it to your computer, after it has downloaded. 2. .pdf - click this link if you want to save the file on your computer as a .pdf so you can read it later. 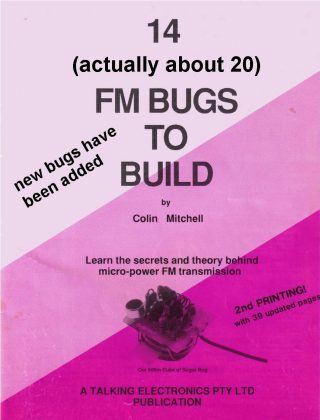 All the projects in 20 FM Bugs are available as a kit. And send your name and address and I will send the item(s).